In 2007, the World Health Organization and UNAIDS proved that circumcised men reduce their risk of HIV Infection by 60% in high risk areas such as Sub-Saharan Africa. The Circ MedTech team developed the patent pending PrePex device to achieve rapid scale-up of voluntary medical male circumcision (VMMC) in resource limited settings, prevalent in Sub-Saharan Africa. PrePex is the first known device to facilitate non-surgical adult MC that can claim all of the following: No injected anesthesia. No surgery. No sutures. No sterile settings. 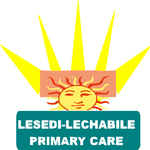 Lesedi-Lechabile does both Surgical and PrePex circumcision methods.